If you are looking for a companion for your dog, please bring your dog with you. coming in and being re-homed so quickly that they never make it to the web site. She is a 3 year old, de-sexed, vaccinated and mciro chipped, Doberman cross. She is a an exuberant girl who needs a high energy life style. She will need more training. She isn't good with cats or children. She can be selective with which other dogs she likes. He is a special case. 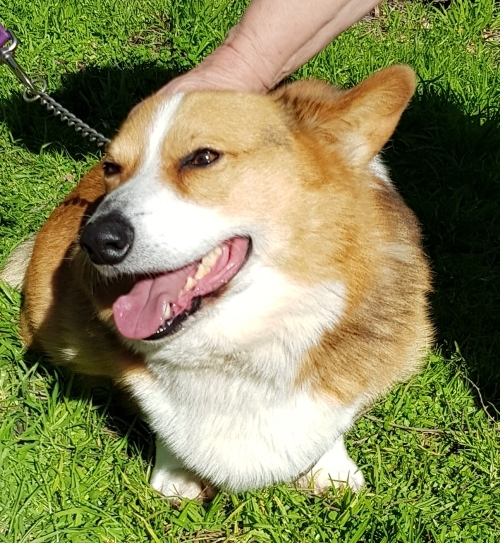 He is a de-sexed, vaccinated and micro chipped, 5 1/2 year old Corgi. He was brought up a spoilt brat with no training. He respects our manager but will bite any one else he doesn't respect. He doesn't want to play with you and only wants cuddles when he comes to you otherwise he prefers to be left alone. He is not suitable for children He is not good with any other animals. He is a de-sexed, vaccinated and micro chipped, 3 1/2 year old, Bull Arab. He is an energetic dog who loves cuddles and plenty of walks. He doesn't like other dogs. Needs to go to a home where he is walked every day. He would love to go to obedience school. Lance. He is a 15 week old, desexed vaccinated and microchipped, possibly Heeler cross puppy. He will be a medium to large dog. Logan. He is a 15 week old, vaccinated and micro chipped, possily Heeler cross puppy. He will be a medium to large dog. He is a 4 year old, de-sexed, vaccinated and micro chipped, Staffy cross. He is an escape artist, who when bored can be destructive. He will need lots of training and an owner who is willing to spend time with him. She is a de-sexed, vaccinated and microchipped, 6 year old, Blue Heeler cross. She is a typical Blue Heeler personality, who would like to be an only dog with an owner who understands the breed. She is a de-sexed, vaccinated and micro chipped, 2 1/2 year old, medium sized breed. She is a very energetic dog who will need lots of training and exercise. She isn't good on the lead. Apart from that she is a friendly dog. 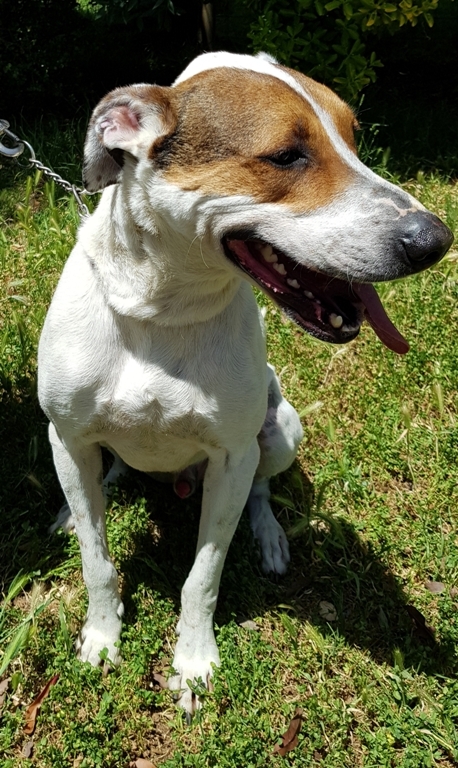 He is a de-sexed, vaccinated and micro chipped, 10 year old Jack Russell. He is a happy little dog who doesn't like other dogs. She is a de-sexed, vaccinated and micro chipped, 10 year old Jack Russell. She would love to be an only dog, as she really doesn't like other dogs. He is a de-sexed, vaccinated and micro chipped, 9 month old, Staffy cross. He is a very energetic puppy who will need lots of training and exercise. 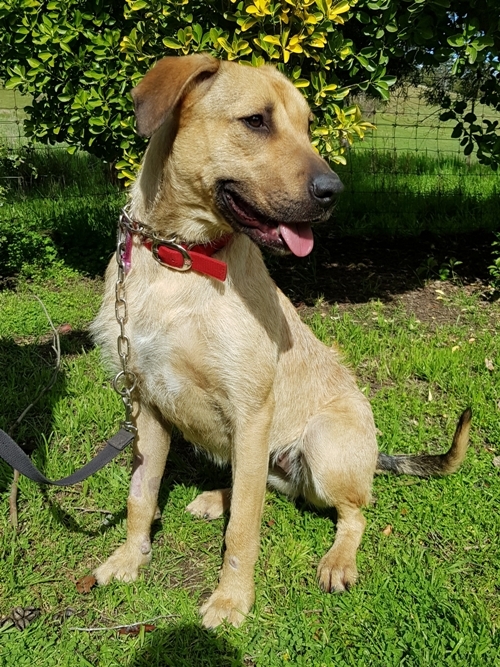 She is a 1 year old, de-sexed, vaccinated and micro chipped, Wolfhound/Ridgeback. She is a lovely girl, who loves people and other dogs. She is an escape artist and will need really good, high fencing. Preferably a home where she isn't left alone for long periods and gets plenty of exercise. He is a de-sexed, vaccinated and microchipped, 2 1/2 yearold, Greyhound cross. He is a lovely , young dog who is good with other dogs. He is not good with cats. 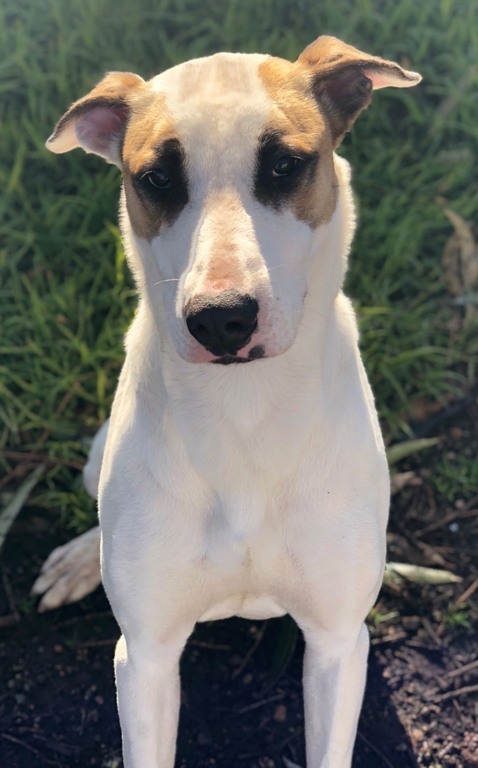 She is a de-sexed, vaccinated and microchipped, 1 year 9 month old, Staghound cross. She is a lovely girl who gets on well with other dogs.